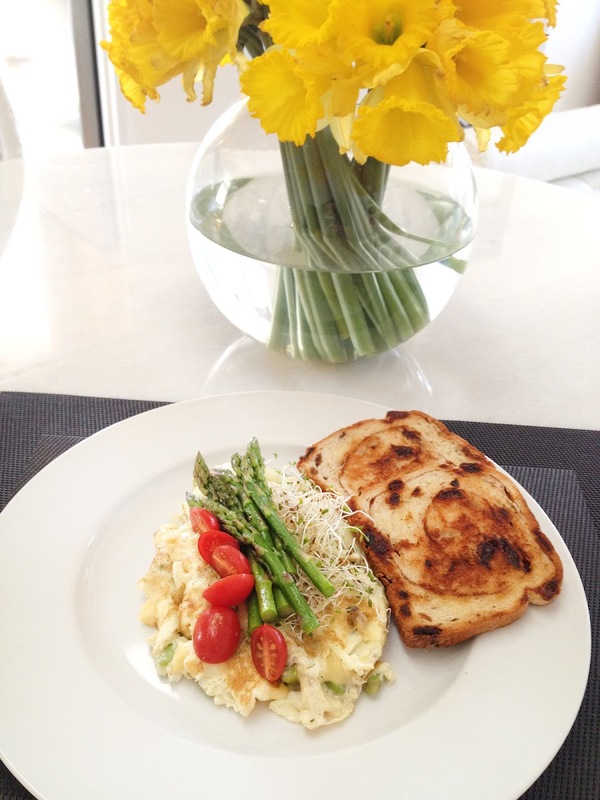 Omelette with soy mozzarella and scallions topped with alfalfa sprouts, steamed asparagus and warmed grape tomatos. Cinnamon-raisin toast on the side. Don't forget the flowers.